In the ever increasing push for longer bridges, taller buildings, bigger stadiums, and grander projects of all kinds, engineers face new challenges that redefine our sense of both aesthetics and functionality. 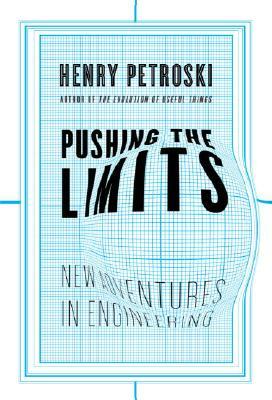 Pushing the Limits describes two dozen adventures in engineering that provide a fresh look at the past, a unique view of the present, and a telling glimpse into the future of the discipline and how it affects our lives. Henry Petroski tells the stories of significant and daring enterprises—some familiar, some virtually unknown, and some that are still only dreams—in their historical and technological contexts. Among the achievements are Philadelphia’s landmark Benjamin Franklin Bridge, London’s incomparable Tower Bridge, and China’s ambitious Three Gorges Dam project. But pushing the limits of technology does not come without risk. Petroski also chronicles great technological disasters, such as the 1928 failure of California’s St. Francis Dam, the 1999 tragedy of the Texas A&M Bonfire, and the September 11, 2001, collapse of New York’s World Trade Center towers. He deals with other calamities as well, such as the 1994 earthquake that struck Southern California and the embarrassingly wobbly Millennium Bridge in London, which had to be shut down only three days after it opened. The breadth and depth of Petroski’s erudition and his passionate interest in the art of design and in building have earned him the title of America’s poet laureate of technology, and his exploration of the complexity of what goes into design continues to stretch the imagination.